The Viscardi Center, a network of non-profits providing a lifespan of services that educate, employ, and empower people with disabilities, is the focus of an in-flight video feature now playing on the seatbacks of all JetBlue Airways flights during October’s National Disability Employment Awareness Month (NDEAM). This marks the second time that Viscardi was featured in a JetBlue video; in October 2015, the airline produced a clip that was viewed by approximately 2.7 million customers across the U.S. 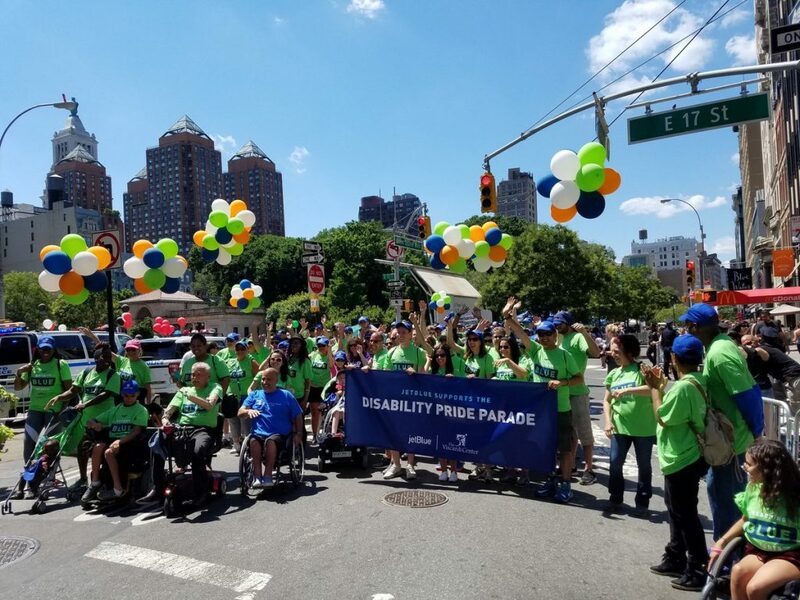 This year’s feature highlights how JetBlue’s partnership with The Viscardi Center strengthens its aim to enhance passenger accessibility, as well as its commitment to broadening the horizons of employees with disabilities. As showcased in the video, JetBlue— headquartered in Long Island City, with its main base at John F. Kennedy International Airport — annually hosts students from the Henry Viscardi School for an exclusive airport and travel experience. Students, some of whom haven’t traveled by air before, have the opportunity to check-in at JFK, fly to Boston, enjoy lunch, and then fly back home to New York. The students aren’t the only ones learning that day: JetBlue’s on-staff Corporate Facility crew observe and identify possible ways to improve service and meet the needs of every traveler. Under the umbrella of its Reaching Blue Heights initiative, JetBlue has worked over the past four years to foster a relationship with The Viscardi Center that establishes a sustainable pipeline for hiring, retaining, and advancing people of all abilities. The partnership includes career coaching to Viscardi students and alumni; NDEAM Mentoring Days that educate its staff on critical disability-related topics in the workplace; and participation in the Disability Pride Parade in New York City each summer. Click here to watch the video and learn more about how The Viscardi Center and JetBlue have teamed up to advance opportunities for all.